The hard-charging tech mogul said his rocket company, SpaceX, aims to land at least two cargo ships on the Red Planet in 2022 in order to place power, mining and life support systems there for future flights. That's just five years from now. "That's not a typo -- although it is aspirational," Musk said Friday during a presentation at the International Astronautical Congress in Australia. Ships carrying crews would arrive in 2024, he added. To hit those deadlines, SpaceX plans to start building the first spaceship by the middle of next year, he said. The billionaire entrepreneur does have a track record of setting ambitious time frames for SpaceX, and failing to meet them. Musk revealed more details on the spacecraft -- the BFR, or Big Falcon Rocket, which inside the company is nicknamed the "Big F--king Rocket." If he has his way, the people who colonize Mars will eventually travel in style in the BFR, which will accommodate around 100 people spread out over 40 cabins, and include large common areas and an entertainment system. 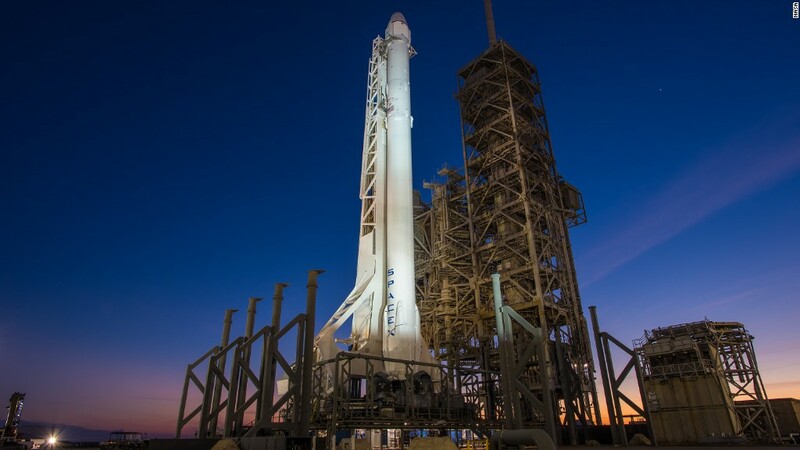 SpaceX has figured out a way to pay for the costly missions, according to Musk, but he shied away from giving specific numbers. The company thinks it can make enough money from its current business of launching satellites and servicing the International Space Station to finance its Mars ambitions. Musk's goal is to make the BFR reusable, which would significantly bring down the cost of launches. Scott Hubbard, the former director of NASA's Ames Research Center and a director of the Planetary Society, said there's merit to that business plan. If SpaceX can indeed make BFR "fully reusable," he said, "the cost barrier to human Mars exploration could be significantly reduced." Hubbard added that he'd like to see more information about how SpaceX's spaceship will support 100 human lives for the long journey to Mars -- which could last six to nine months. (Musk says it can be done three.) "The devil is in the details," he said. Musk's vision for BFR also goes beyond Mars exploration. He says the rockets could allow SpaceX to eventually establish a lunar base, which he dubbed "Moon Base Alpha." "It's 2017, we should have a lunar base by now," he said. "What the hell's going on?" Musk suggested the BFR could eventually also be used to clean up space by gobbling up old satellites and other junk orbiting the earth. And it may come in handy closer to home. Musk said the rockets could fly people from city to city on Earth in incredibly short time spans, such as from New York to Shanghai in 39 minutes. SpaceX isn't the only company with an eye on Mars, though. 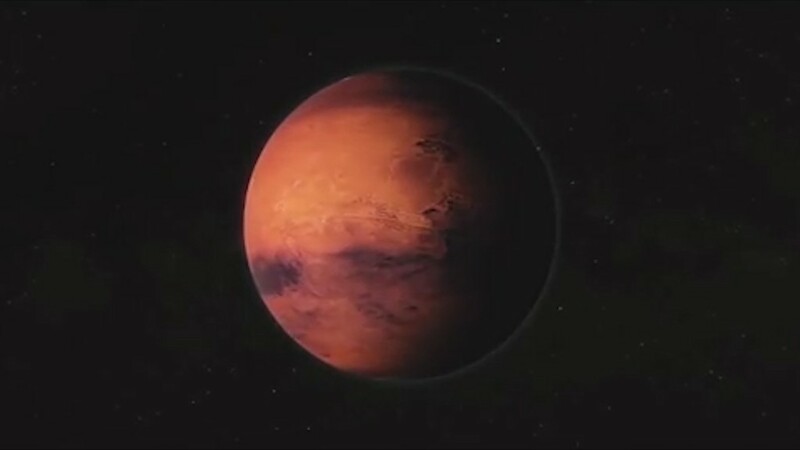 Just hours before Musk took the stage in Australian city of Adelaide on Friday, Lockheed Martin (LMT) touted its plans for a "Mars Base Camp" -- a mobile space habitat that it's developing for NASA. The system would work in tandem with Orion, the spacecraft NASA is developing for crewed missions to deep space. Lockheed said the structure could be assembled at NASA's Deep Space Gateway -- a structure the agency is developing that would live in space between Earth and the Moon. The company says it hopes to build and send the structure to the Mars in about 10 years. Unlike SpaceX's plan, NASA and Lockheed aren't looking to colonize Mars. Their project is focused on executing experimental missions in which highly trained astronauts would visit the planet and ultimately return to Earth. Aerospace giant Boeing (BA) has also said it wants the first person to set foot on Mars to get there on one of its rockets.